Last week, preliminary investigations revealed that the pilots of the Ethiopian Airlines were unable to control the aircraft despite following the procedures repeatedly given by the manufacturing company Boeing. The aircraft nosedived uncontrollably, resulting in its crash last month killing everyone on board. It is being said that a particular software either did not work properly or was not installed. This software, or lack of it, somehow did not allow the pilots to control the aircraft. Boeing has been working on this software since October 2018, when a similar aircraft had crashed in Indonesia. Ask an air traveller whether he would like to be flown in a safe aircraft with pilots able to control it fully, or would prefer a software-controlled aircraft which makes the presence of pilots meaningless and on top of it is not able to fly and land the aircraft safely? I don’t think that any reasonable person with even a little bit of common sense would even take a moment to answer it. Everyone would prefer to be safe – we are not talking about individuals on a suicidal mission – and not give two hoots about fancy aircraft design with cutting-edge technology using the latest software supported by artificial intelligence. Ultimately, what matters is “safety”. 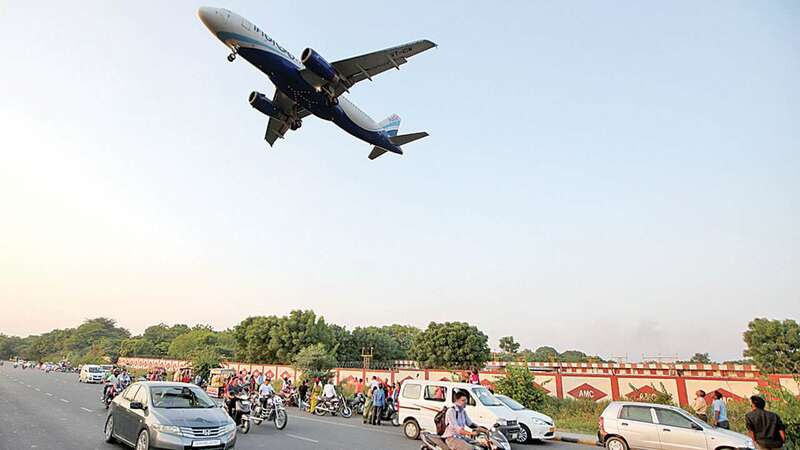 Recent developments in the aviation industry, especially the two crashes of Boeing 737 in quick succession, have shaken many experts and made the common travellers nervous and anxious about safety. In the zest to develop an ultimate flying machine with the least fuel consumption, least carbon emission, and the maximum possible carrying capacity, aircraft manufacturers have been working with stronger and better materials, technology and management practices. Truly a fantastic endeavour! But, in this quest, how can safety be compromised is incomprehensible. Simulators, virtual reality, modelling, experimentation, testing in real life conditions, etc. are standard industry practices, and, it is beyond anyone’s comprehension as to how the control of an aircraft can be simply taken away from the pilots. The upcoming driverless cars is akin to giving the complete control of the driving of a car to a software, guided by artificial intelligence, connected to internet, global positioning system (GPS), and now the very recently launched 5G telecom services, which are said to be essential for extremely fast responses necessary for successful functioning of driverless cars. Something similar is what is done in flying drones, however, the drones are controlled by some remote agency. Is similar technology successful in commercial flying operations? Once the pilots don’t have any control over the aircraft, it is as good as flying in a pilotless aircraft. It has been reported that Boeing used to charge extra for certain safety features for the aircraft of 737 Max series. This is unbelievable. When a person buys a car there are certain basic safety features – some mandatory due to legal and regulatory compliance, and some others depending on the usage and price of the car – which make the vehicle worth driving on the road and gives confidence to the user. The simple principle ought to be, the higher the price, the safer the car should be. But, without certain basic safety features a vehicle is just a piece of metal, and cannot be sold in the market as a vehicle. Similarly, an aircraft – especially if the company boasts it to be one of the finest – without adequate safety features is just a piece of metal and doesn’t have airworthiness. How the certification authorities gave the green signal is a mystery and must be investigated. Any aircraft must be fully equipped with all the safety features and the pilots should always have complete control of the aircraft.